Founders KBS 2019? OK, even at $7 for the single 12 oz. bottle. 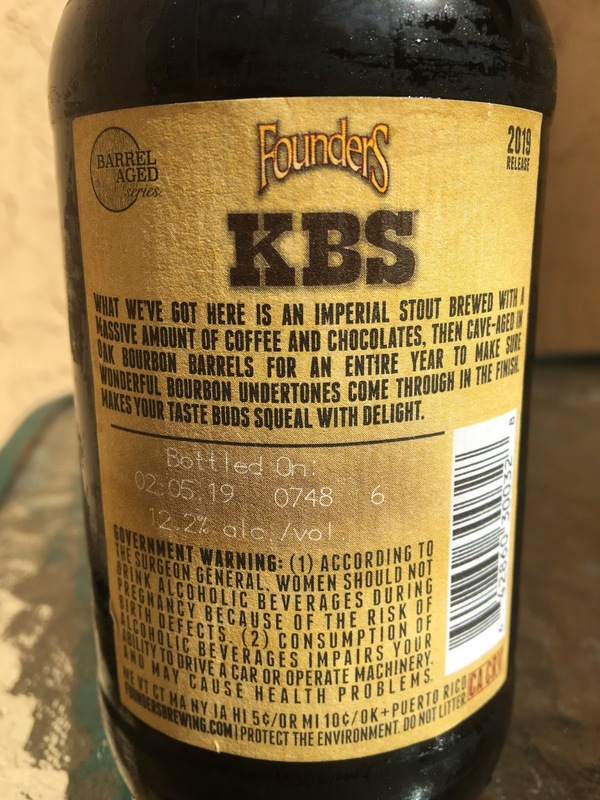 This is an imperial stout brewed with coffee and chocolate then aged in Bourbon barrels for a year. Bottled On 02.05.19 Drink 03.24.19 12.2% alcohol. Hoping my "taste buds squeal with delight!" Aroma is so choice! "If you have the means, I highly recommend picking one up!" 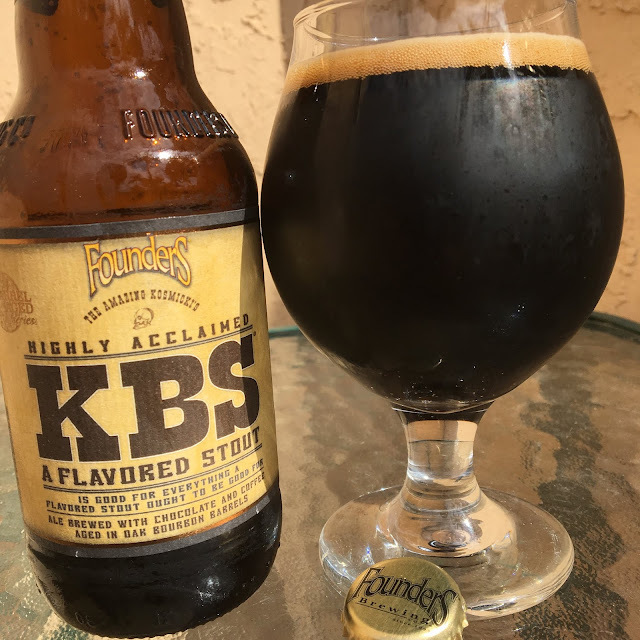 Lots of coffee and sweet chocolate, hints of vanilla and some definite bourbon sweetness. And that's before taking a sip! Very rich! Sweet chocolate meets excellent coffee with a light roast, some bourbon there to complement it all. Vanilla, toffee, some spiciness, and a little alcohol, nice barrel character all around. Alcohol at 12.2% is well hidden, but enhances each aspect a lot! (12.2 is my birthday too, and my buddy Britney Spears too). Absolutely luscious texture. Chocolate lingers on the palate forever! Beautiful!